Which head coach will be the happier of the two at the final whistle? England welcome France to Twickenham for the latest edition of Le Crunch on Sunday (kick-off 3pm) - we look at some of the key talking points. England have won nine of the last 12 Six Nations games against France and Eddie Jones welcomes back poacher Chris Ashton and hard hitter Courtney Lawes from the outset. Jacques Brunel's side is much changed and includes a new-look midfield and fresh faces in the front, second and back rows. England's performance against Ireland was hailed by many as their best under Jones' watch and it was one based on their intensity and physicality. The side's 46 dominant tackles in comparison to Ireland's nine starts to tell the tale of the tape and their challenge is to replicate or better their performance on Sunday. Will this be difficult? Well, you expect not... for a whole host of reasons. First, England are back at home and will be keen to give their fans the type of performance the travelling support witnessed at the Aviva Stadium. Second, they have key individuals like Ashton, the Vunipolas and Joe Launchbury (off the bench) that are fresh returnees to Six Nations rugby. All will feel that they have points to prove on the international stage. Finally, the whole squad will be acutely aware one performance does not mean that they are world beaters. 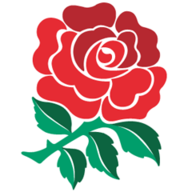 They will know that if they are going to arrive at Rugby World Cup 2019 in the right shape or if they want to take the Six Nations title, performances like last weekend's have to become the norm. There's no room for dodgy second albums in the Test arena. These are two of the most common cliches that you will hear when it comes Les Bleus - they are not new and not original - but you have to say they are also not without considerable substance and grounding. Since 2000, France have only won once at Twickenham in the Six Nations and that was by a single point back in 2005. Equally, their 80 minutes of rugby at the Stade de France showed France can arrive in one state and then flip into another mid-match. France have a wealth of talent and they have players that could rip through opponents but at the moment they lack a true winning-mentality. The type of winning-mentality that comes from securing consistent victories and that, coupled with continued undulations in selection, means that the cliches about France still ring true and the question marks next to their name remain. Brunel has made six changes to his starting line-up, 10 in the 23-man squad overall, including bringing Mathieu Bastareaud into the midfield to play alongside Geoffrey Doumayrou. The Toulon centre was not even included in Brunel's match-day thinking against Wales yet he is deemed to be the man to quell the threat of Manu Tuilagi. 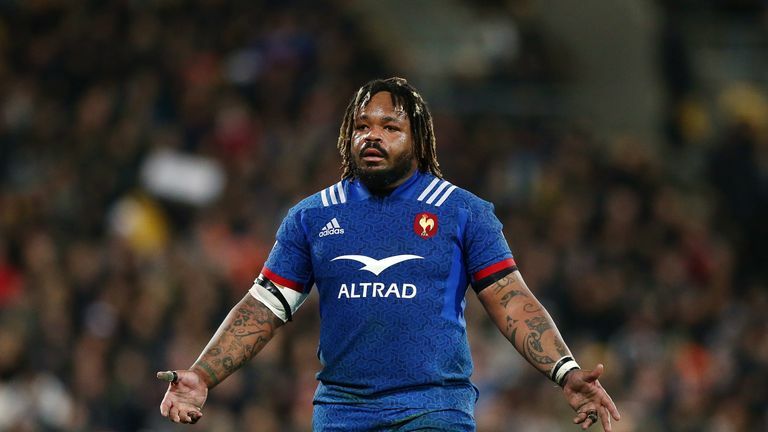 While Bastareaud and Doumayrou helped France beat England last year, the introduction of the former changes the team's ability in the backs - his mobility is not at the level of those around him nor is his pace. The 30-year-old needs to bring his unique game to the Twickenham party, a game that has proved to be effective in previous Six Nations matches, and then surprise a few people with his energy levels. Also, a significant game will be required from young prop Demba Bamba on his first start in France's front row. As part of France's World Rugby U20s tournament-winning side, Bamba ripped up the competition but this weekend he will be faced with seasoned internationals and will be directly against Mako Vunipola at scrum time. Test-match rugby is not just about a side's starting XV, it's about the 23, and there is a stark difference between the two sets of replacements for the game. England's bench of 'finishers' houses 249 caps worth of experience including 82-capped prop Dan Cole and two other players with over 50 caps for their country - George Ford and Joe Launchbury. In contrast, the most experienced player on France's bench is Dany Priso with 11 caps. He's joined by four individuals that have made just one appearance for France and in total Les Bleus' replacements have just 25 caps between them. Will France's players defy the numbers and provide vital impact in the final quarter or will England have the upper hand with their seasoned finishers? At half-time last Friday evening plenty was being said about France's dynamism, about their offloading ability and about the tactical efficiency they were showing against Wales. With the manner in which he scored their first try, Louis Picamoles set their physical tone and the signs were pointing towards a French campaign filled with promise and achievement. However the second-half errors, including those from Yoann Huget and Sebastien Vahaamahina, combined with untidy passages and those mistakes poured cold water on their promising first 40. 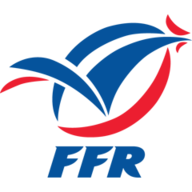 France do have the rugby acumen in their squad to eradicate those mistakes from their game and if they can turn a head-turning 40 into a full-fat 80 minutes then we are in for a highly competitive Test match at Twickenham Stadium.